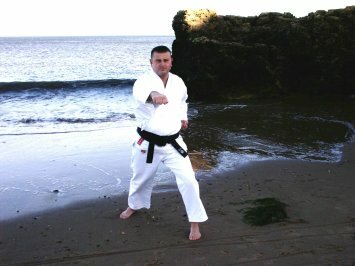 Akira Karate Do is a form of Karate heavily influenced by Traditional styles such as Shotokan and Ashihara. 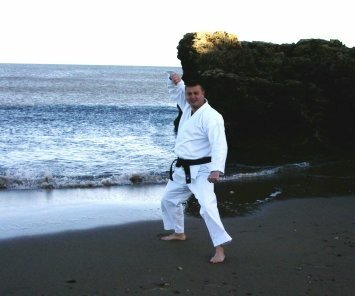 After starting Shotokan Karate at a very early age Sensei Paul White furthered his Training under various Japanese Instructors including Sensei Ashihara , From where the name Akira was given. 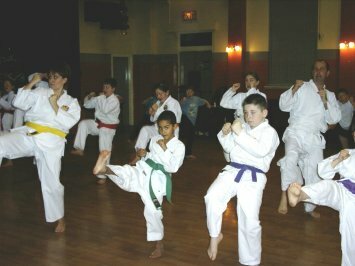 Akira Karate do is a very Traditional martial art with Japanese etiquette and disipline held in very high esteem which echoes in the student training. CLASSES: wednesday night 5.45 pm til 7.30pm at the Westwood club , columbia , Washington ,Tyne & wear. 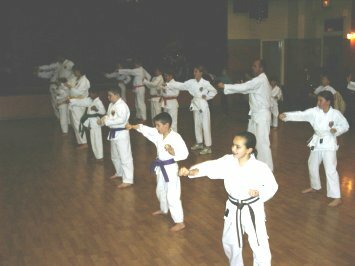 TRAINING INCLUDES : Basics , Kata , Pairwork , Kumite, Bag work , Self Defence . AGES : Ages range from 7yrs to 40+yrs ,with about 32 /35 members. 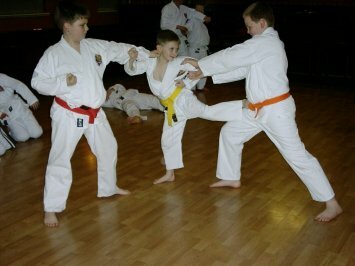 Akira Karate do is sponsored by NISSAN , WASHINGTON HOUSING GROUP , WEATHERSPOONS . Above are some pictures of the Akira club in action.